Developer(s): SCE Japan Studio, PlayStation C.A.M.P. Rain plays out like a children’s storybook with each line being revealed as the player advances. This mode of storytelling is effective in certain senses, yet it ultimately misses the mark. Every emotion and action is plainly told leaving the player with nothing more profound to work with. The game provides a singular mood that is felt throughout the game, but never quite reaches the deep emotional reactions it’s grasping for. In the game, you play as a boy who becomes invisible and thus can only become visible in the rain, and the game does well to make the player feel his confusion and fear, but only provides a superficial examination of the loneliness and wonderment such a transformation would entail. Throughout the entirety of the game, you are either chasing or accompanied by an invisible little girl. There was a great opportunity there to expand the story and mechanics of the game, which the game only partially utilizes. There are moments when both characters must work together but the characters do not consistently interact in a truly satisfying way. Despite this, there are some great moments when you avoiding the game’s mysterious monsters, and the best moments would likely be those in which both characters must work together, these moments just do not happen particularly often. Rain is replete with cold, dark edifices and alleyways that are exquisite to look at. Unfortunately, there is not too much that can be explored within the beautiful environments and not much variation between them either. 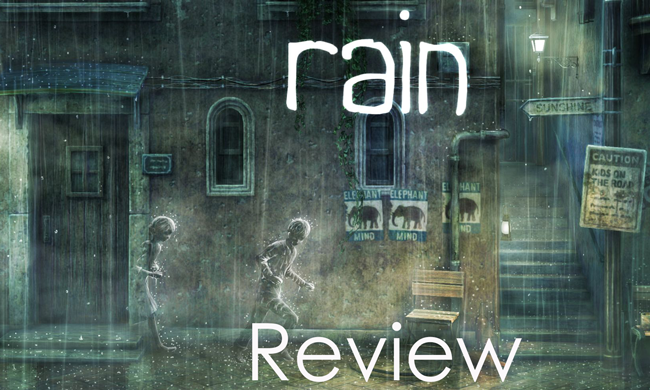 Despite the game’s appearance of being large and sprawling, Rain is linear and restrictive. Normally, this wouldn’t be a criticism, per se. 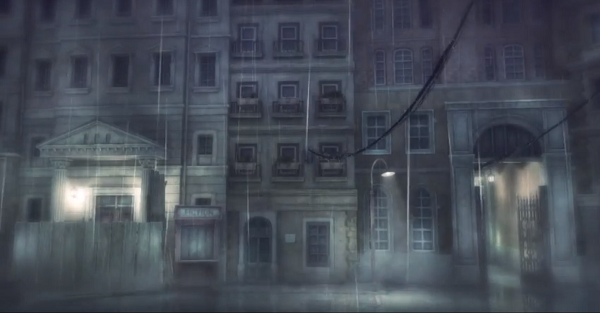 However, the linear gameplay serves to diminish the lost feeling that a player should experience while playing Rain. Rain’s enemies are, thankfully, more effective. You do become frightened when seeing the monsters that roam the streets as you die very easily. Rain underscores your feeling of disorientation when you are forced to evade the ghouls since you must step out of the rain (and therefore become invisible) to escape them. Rain never explains their existence either, which does add (some much needed) mystery. As I said earlier, the music and the sounds are the things saving this game from mediocrity. The spectacular choice for the theme (Clair de Lune), some fantastic melodies original to the game and the magnificent sounds encountered throughout produce the lingering impression left by Rain. Without the sounds of Rain, the game would simply be mediocre, and would not merit your consideration. Luckily, they do exist and their existence elevates Rain to a solid entry in the PSN library. Did you have a similar experience with Rain? Tell me in the comments or tweet @gamebloggirl!